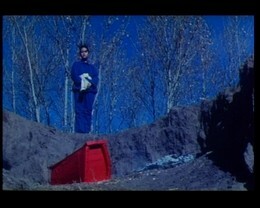 Selected at LA QUINZAINE DES REALISATEURS of Cannes Film Festival 1990. "Léonard de Vinci 1989 Award" of Ministry of Foreign Affairs. On general release in 1990, in France and abroad (Pays Bas, Canada, Belgique...). Yen, an ex singer exiled to Mongolia, falls in love with Ling Ling, a young woman of great beauty. He marries her but discovers that she hides a secret. 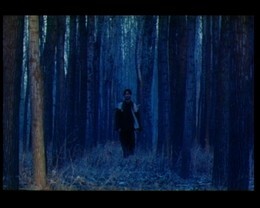 A story of wild love, shot in China and in Chinese, by a French director. It's one thing to know China very well, and another to shoot a whole movie in Chinese! But that's what Alain Mazars did. A story of wild love, filmed with great delicacy. 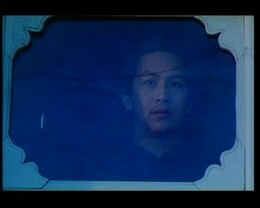 A movie as beautiful and subtle as an engraving. 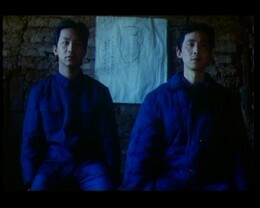 The movie is set in China, during the Cultural Revolution. 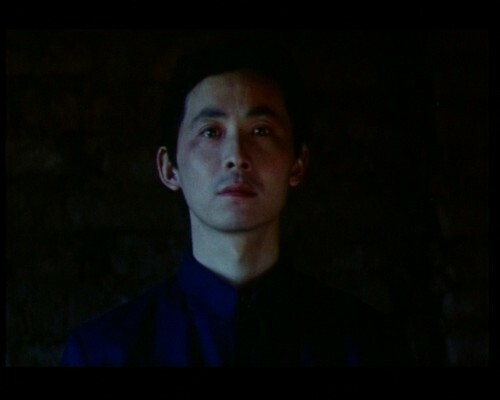 Yen, an opera singer, is arrested after telling his director what he thought of him. He escapes prison through dreams, imagining scenes from his favorite opera, THE PAVILION OF PEONIES, that he has always wanted to direct. The leading lady of this opera deeply believes that first love, the only love, the true one, survives death, and Yen firmly shares that belief. As he is freed from jail, he finds himself alone in the middle of nowhere in Mongolia.He marries Ling Ling, a pretty Chinese girl who is sad, and who always seems to be lost in the past. This past suddenly comes back in the form of an old childhood friend of hers, who is still in love with her. 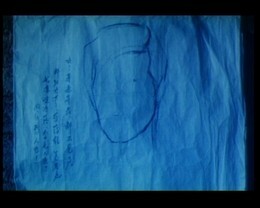 Since Ling Ling loves him back, Yen accepts the situation and simply crosses the street, fading away. Everything in this first feature-length movie by Alain Mazars, lives up to this willingness to give up the person you love.. The characters are noble, pure, and delicate. They almost move in slow motion in stunning still frames representing the theatrical world in which the hero of the movie lives. 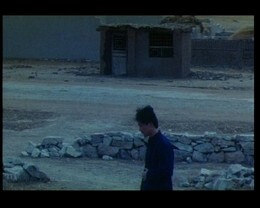 Alain Mazars is a master at filming the moment when the apparent distance between people disappears: In a flash-back we see Ling Ling separated from her childhood friend. But the lovers have learned to be together in spirit, at very specific times known only to them. And when her husband looks at Ling Ling through the window, from the other side of the street, we feel by the intensity of his gaze that for him, she's still here. 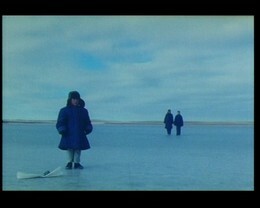 To express all those feelings to their full measure, Alain Mazars uses mostly still frames, but not only. 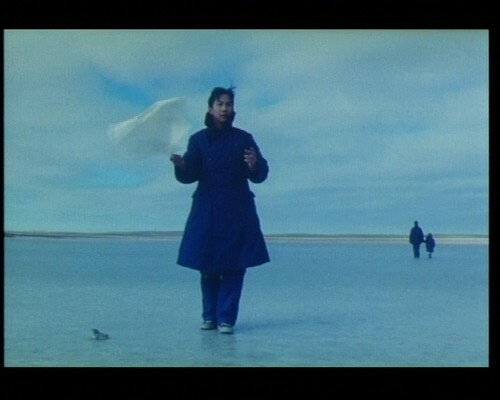 Right when you think the style of the movie is very contemplative, all of a sudden the camera moves in a very chaotic way: We leave Yen's vision (the poet), to enter the story of his wife's friend. 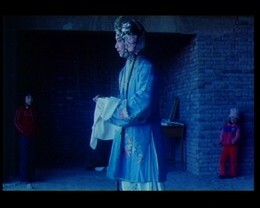 Same thing when the characters seem to be still: A crowd of children appears on screen, running to see the hero play parts of his beloved play, THE PAVILION OF PEONIES. 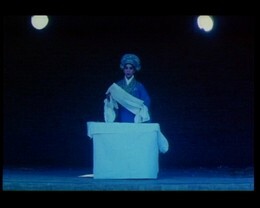 Yen is on stage, dressed as a woman. It's the most mysterious sequence of the movie, and the most confusing for a Western audience, which is not accustomed to this art form, a mix of dance and magic ceremony. What happens at this point between Yen and Ling Ling, seated with her friend in the audience, is invisible. Faced with this character who sings his desire to fall asleep and join his beloved in his dream, the young woman is distraught and understands that the love of her husband is still alive. On the other side, Yen, through his art, totally transcends this love. The opera and his own life are one. He seems to have gone to another place, convinced that his wife will join him sooner or later. With distance and restraint, Alain Mazars manages to grasp those very subtle changes in the love story. LOST SRING is like a long flash back. Right from the beginning, Yen shares the story of his life, as he walks slowly by a lake, in front of a landscape which looks like an engraving. LE MONDE. 29 november 1990. 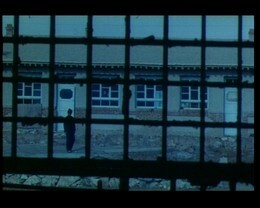 Mazars knows and loves China, and that's where he shot LOST SPRING. 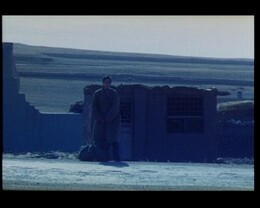 Maybe you remember a strange and beautiful movie, from the fall of 1987 : BEYOND THE MEMORY, shot in China by Alain Mazars. 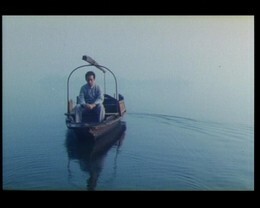 He worked in China in 1978/79 and, fascinated by the country and its culture, he went back there several times to shoot movies. 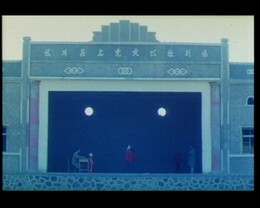 BEYOND THE MEMORY was the story of an opera singer who was separated from his wife during the Cultural Revolution. Seven years later, he is back in his village, examining the faces of the children, hoping to recognize the child of the couple that he never saw. 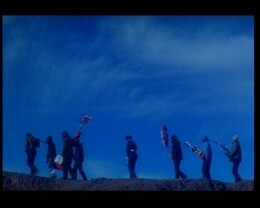 The journey was a symbolic one, and the aesthetics of the movie were fascinating. L'EVENEMENT DU JEUDI. 29 november 1990. LE CANARD ENCHAINE. 29 november 1990. Quick glances, fingers that barely touch each other, and silent love screams shine in this modern love story of a couple and their journey between Beijing and Mongolia. This porcelain masterpiece is more instructive than a documentary and more moving that a melodrama. F.P. Alain Mazars is very bold, as you can see from the topic of his first feature lenght movie. 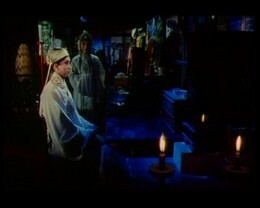 It's a modern and dreamlike melodrama based on a Chinese opera. LOST SRING is uniquely beautiful, a welcome change among fast paced movies. Mazars glorifies the power of desire and love , two things the Cultural Revolution in China wants to deny. The magic comes from the total escape, the difference between time periods, the dream and the reality. Alain Mazars is a young risk taker. A few years ago, after Mao's death and after learning Chinese, he went to work in China as a volunteer teacher. He fell in love with the country even though he was against the political regime, and shot five medium-length features there, including BEYOND THE MEMORY. FRANCE SOIR. 29 november 1990. Mazars managed to overcome all the administrative hurdles and shoot a movie denouncing the abuse of a dictatorship. A real accomplishment. LA CROIX. 29 november 1990. Alain Mazars is a master at filming emotions. The singularity of his movies is that the aesthetics are as important as the story itself, and he is always trying to create that perfect balance. The viewer's imagination is nourished by a singular and unusual editing process with no visual shocks, by elaborate frames and by the original soundtrack. In the same way one can create poetry by the way one puts words together, the pictures here are illustrating the feelings in a very subtle way, but without explaining them, which leaves room for a lot of mystery..
LOST SPRING (which won the "Prix de la Jeunesse" at Cannes and the "Prix de la Première Oeuvre" at Montreal) is the first feature-length movie after several medium length ones that remained rather unsung, such as BEYOND THE MEMORY. LE FIGARO. 22 may 1990. Its a very mysterious movie with a script full of drama and romance. many stories intertwined, just like the fate of the characters. Alain Mazars directed this movie with a lot of restraint and purity, and the magic happens when the story and the aesthetics become one. LOST SPRING is a fascinating movie. This movie is a combination of a lot of aesthetic research and the atmosphere of certain American thrillers, such as OUT OF THE PAST by Jacques Tourneur (who talks about the mark left on those who experienced intense drama in their lives). LOST SPRING tells two stories in flashback.This is a very complex movie in three parts, about politics but mostly about art and love. The relationships between the characters are constantly enriched by images of the opera THE PAVILION OF PEONIES, whose story enhances the emotional atmosphere of the movie, even though the story of the opera is not the same as the story of the movie. 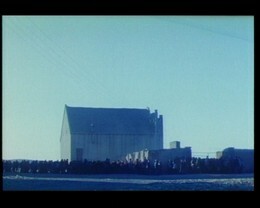 In the last part of the movie, its the opera that is enriched by images of the movie. LA REVUE DU CINEMA. november 1990. LES ECHOS. 30 november 1990. The very personal work of an director who reveals his full measure.